Dr. Yang is a native of Taiwan and moved to California after high school. She attended college in Los Angeles and graduated medical school from Northwestern University in Chicago. Dr. Yang moved to the Bay Area for her post-graduate medical training and completed her internal medicine residency at Santa Clara Valley Medical Center. Dr. Yang had the honor of serving an extra year as the Chief Resident in Internal Medicine at Santa Clara Valley Medical Center. Following this she completed a 3-year fellowship in Gastroenterology and Hepatology at Stanford University and joined Peninsula Gastroenterology Medical Group in July 2000. 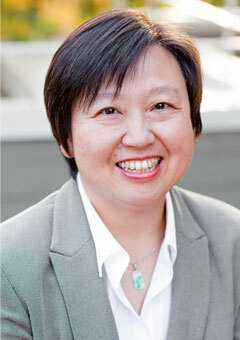 Dr. Yang continues to be involved by volunteering occasionally at Santa Clara Valley Medical Center. Dr. Yang's husband is an engineer and they have two sons. 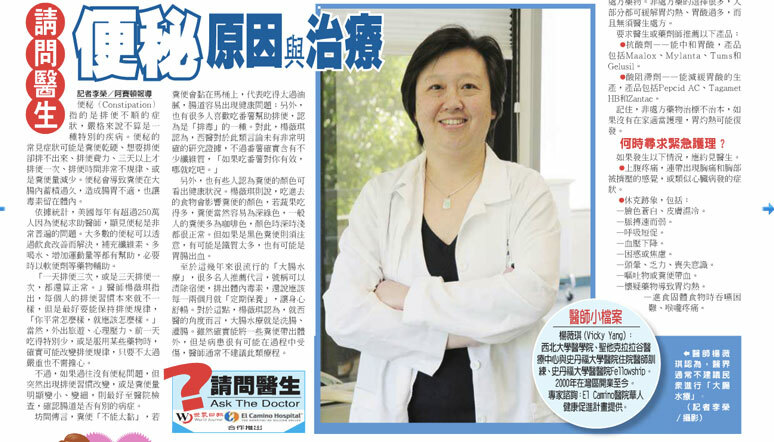 Dr. Yang is also fluent in both Mandarin and Taiwanese. 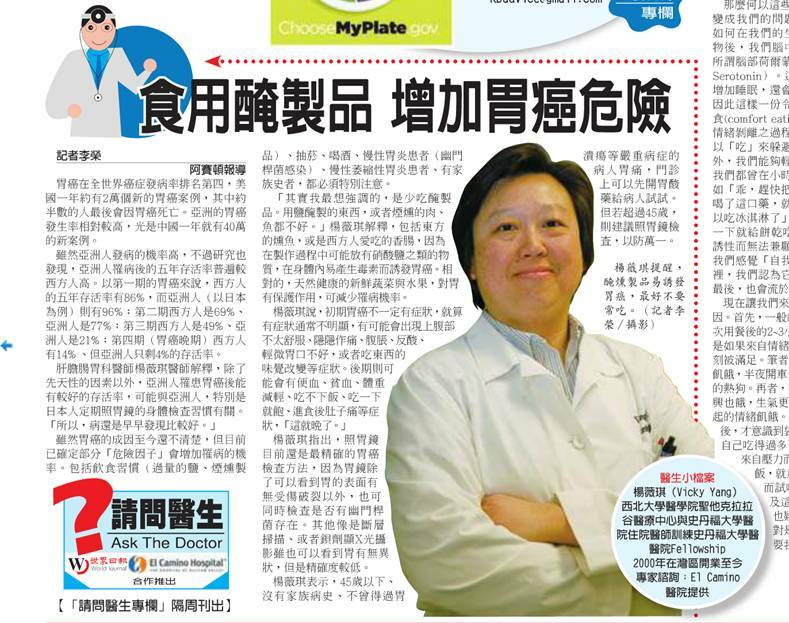 View Dr. Vicky Yang's Published Column in WJ ePaper.